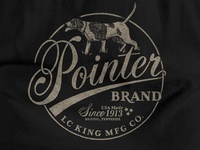 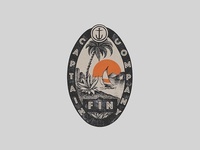 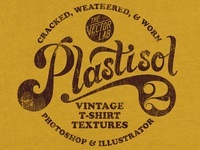 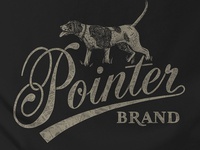 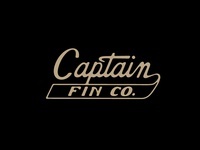 Captain's Bay — Design for Captain Fin inspired by vintage luggage labels. 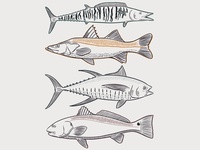 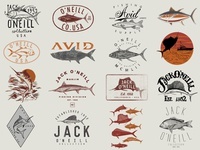 Trophy Catch — Fish illustrations work-in-progress for an outdoor retailer brand. 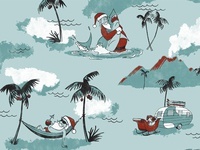 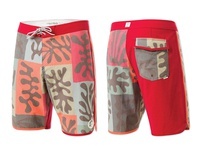 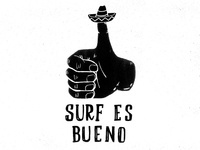 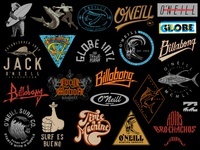 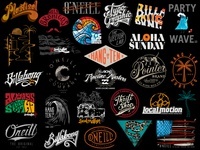 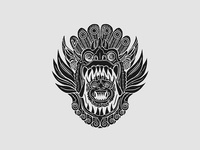 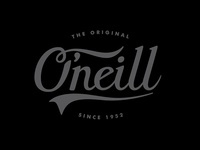 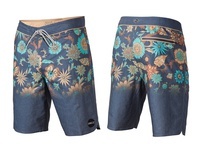 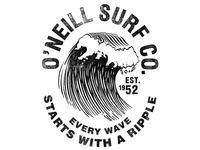 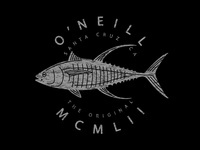 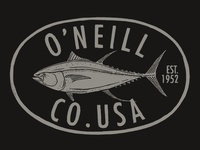 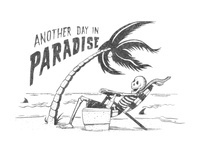 "Haole Days" apparel print for O'Neill — Christmas aloha print for boardshorts and tops. 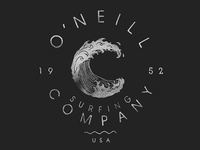 Holiday 2016 O'Neill.